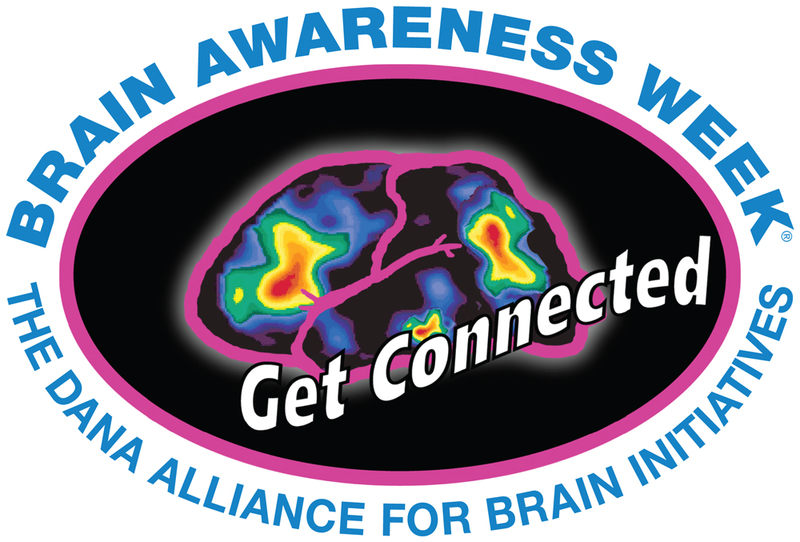 Del 14 al 20 de marzo tendrá lugar la 21 edición de la Semana Mundial del Cerebro (Brain Awereness Week, BAW) una iniciativa fundada en 1995 por la Dana Alliance for for Brain Initiatives y la European Dana Alliance for the Brain dirigida a incrementar la conciencia pública sobre el progreso y los beneficios de la investigación en el cerebro. Como cada mes de marzo, la Semana Mundial del Cerebro reúne los esfuerzos de cientos de entidades de todo el mundo -desde sociedades científicas, universidades, hospitales, centros de investigación, agencias gubernamentales, etc ..- que organizan actividades de difusión al público de todas las edades. En España numerosas entidades han organizado charlas, talleres, cursos, exposiciones, para dar a conocer las actuales líneas de investigación en neurociencia. 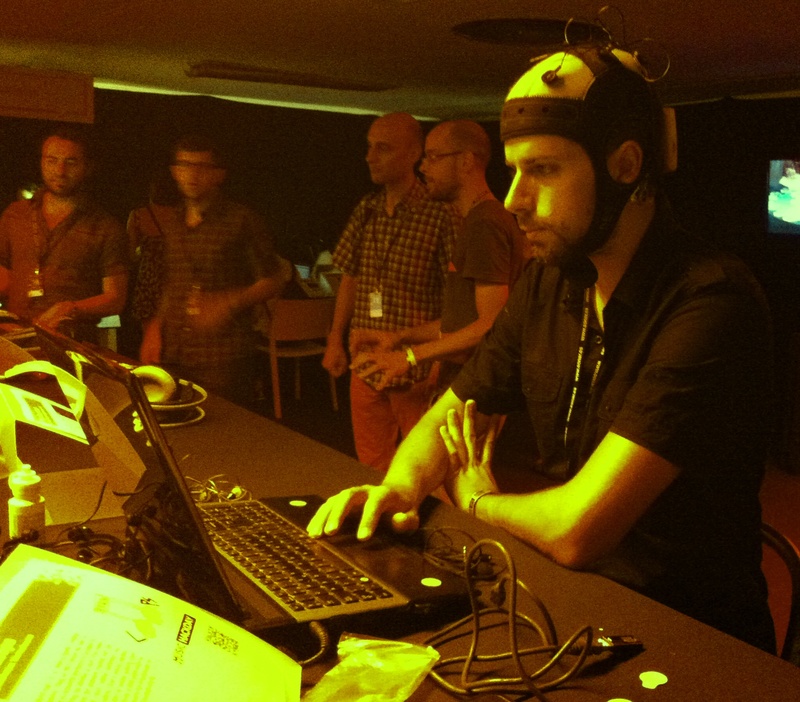 Born at the Neuro-Music Hack Day in 2013, the projects from Marcel Farrès and Zacharias Vamvakousis have been further raised through the KiiCS funded development residence. Nowadays, these two hacks find themselves in their growing-up phase and carry on doing experiments to confirm first results. 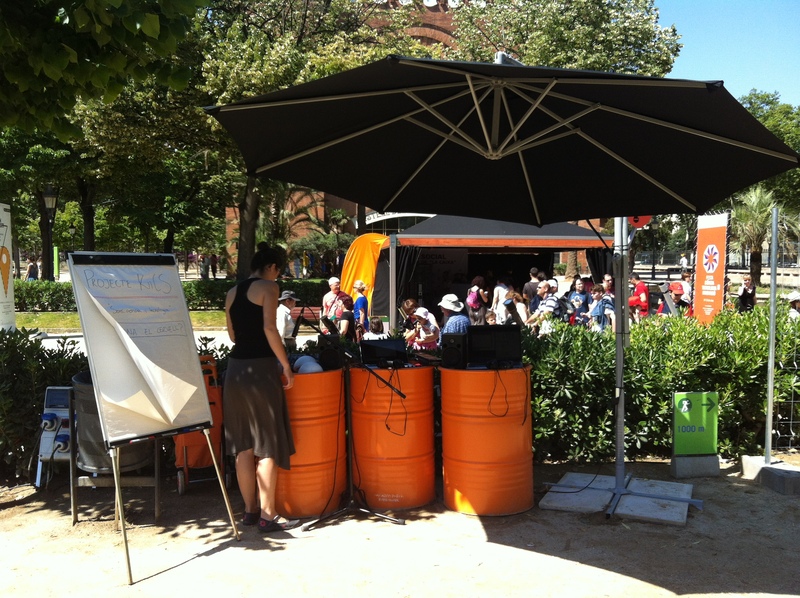 This Sunday 15th of June the workshop “Sounds, science and technology” has been presented in the Science, Technology and Innovation Festival of Barcelona. 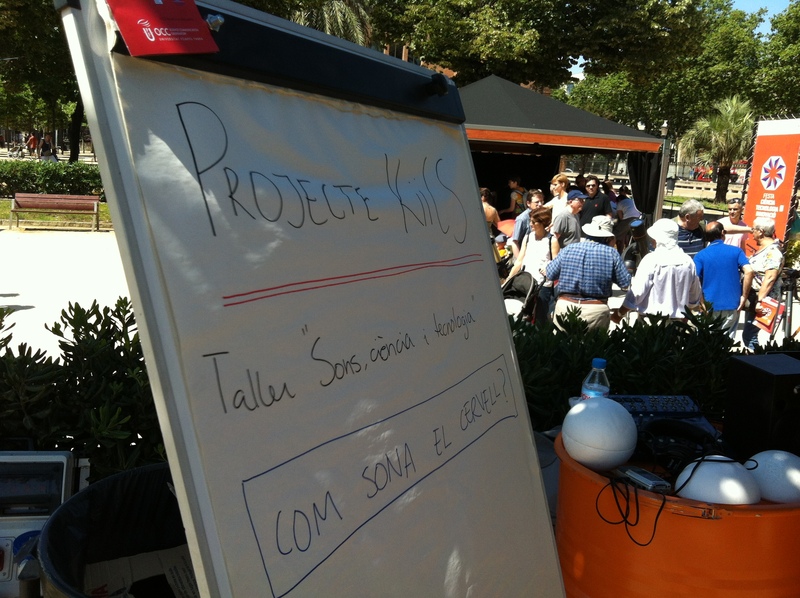 Visitors of the “pop-up” booth have had the chance to discover the activity conducted at Universitat Pompeu Fabra and learn about the process of creating a sound fiction focused on neuroscience by answering the question “How does the brain sound?“. Aquest diumenge dia 15 de juny s’ha presentat el taller “Sons, ciència i tecnologia” dins el Festival de Ciència, Tecnologia i Innovació de Barcelona. Els visitants de l’estand “pop-up” han pogut conèixer l’activitat que es va dur a terme a la Universitat Pompeu Fabra i han après el procediment de creació d’una ficció sonora enfocada a la neurociència, tot responent a la pregunta “Com sona el cervell?”. The European project NERRI (Neuroenhancement Responsible Research and Innovation), in which the Science Communication Observatory from Universitat Pompeu Fabra (OCC-UPF) takes part, was mentioned in the last report of the Presidential Commission for the Study of Bioethical Issues (Presidential Bioethics Commission) of the United States of America. This is an advisory panel constituted by some of the U.S.´ leaders in medicine, science, ethics, religion, law, and engineering. The Presidential Bioethics Commission advises the President Barack Obama on bioethical issues arising from advances in biomedicine and related areas of science and technology.